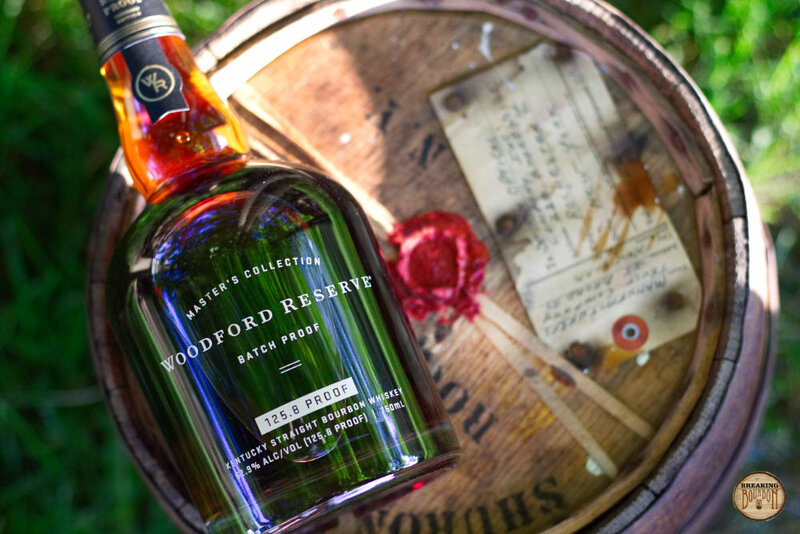 According to Woodford Reserve, “The Woodford Reserve Batch Proof expression is a way to celebrate the flavor nuances contributed through a change in finishing presentation and tell the unique Woodford Reserve story of Proprietary Batching. 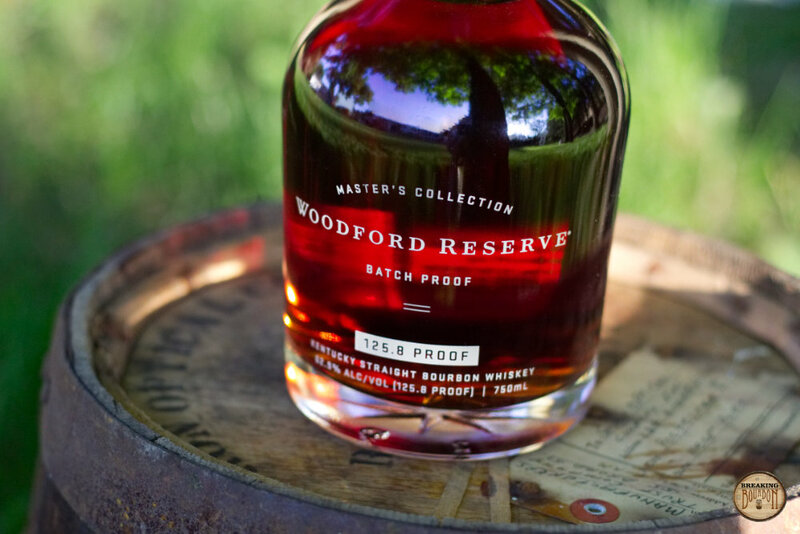 Woodford Reserve Batch Proof is crafted using the same grain bill and process as Woodford Reserve Bourbon.” It is expected to be released in yearly batches. A warm and rich aroma of toasted oak, pecan, vanilla, leather, and coconut with a slight touch of cherry soda pop. It’s nicely layered as each scent has enough room to shine. It tastes as dark as it looks, consisting of a rich medley of toasted nuts, tobacco, oak, and nutmeg. It’s surprisingly light on sweeter notes that would have nicely balanced the heavy ones. The palate’s a bit one-sided that can taste bullish one minute and gentler in the next. Consisting mostly of leather and oak, the flavors quickly drop off leaving behind a dry and slight tannic aftertaste. This is a shame as the palate brings a lot to the table and the finish simply doesn’t follow through. I’ve been waiting a long time to taste Woodford in its barrel proof form. 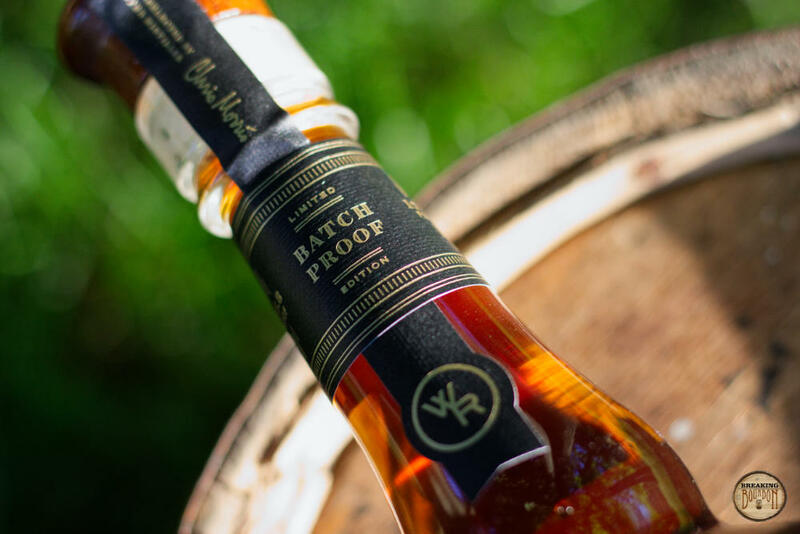 Where many brands jumped on the barrel proof train long ago, Woodford, like Maker’s Mark a few years ago, remained stubbornly against the idea. Then Woodford seemingly out of nowhere released a high proof version of their flagship bourbon that clocks in at 125.8 proof. This is quite a jump from the etched-in-stone 90.4 proof they hit with every other release. In and of itself, there isn’t much that is unique tasting about this bourbon. Woodford states that it’s a new way to tell the story of the five flavor sources – water, grain, fermentation, distillation, and maturation, but there is little that stands out in its taste that would allow you to pick it out from a lineup of other high proof bourbons. Remember, Woodford Reserve’s bourbon consists of a blend of pot still whiskey distilled at the company's distillery in Woodford County, and column still spirits from the Brown-Forman Distillery in Shively, Kentucky. What would have been far more interesting, is if the company released this in small numbers once a year and it solely contained bourbon from their Woodford Distillery. 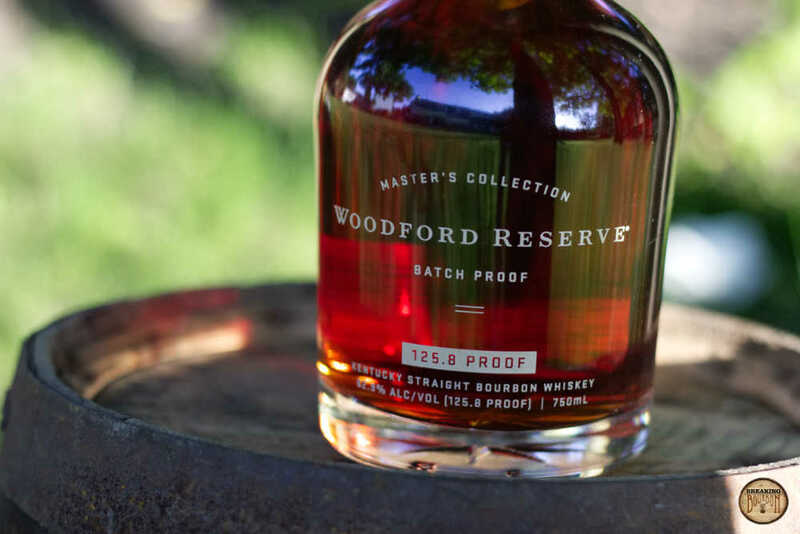 It would no longer be an apples to apples comparison to the standard Woodford Reserve Distiller's Select Bourbon, but at least then the company could justify the higher price point and once a year release schedule. As much as this would muddy the waters of what defines a Woodford Reserve bourbon, at least it would be actually following with the Master’s Collection branding of releasing unique whiskey. 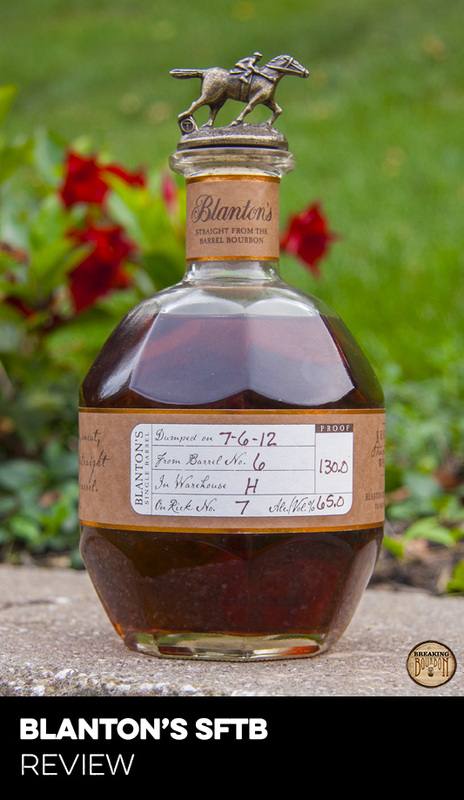 It’s hard to discern nowadays if there is a standard price for a barrel proof bourbon. 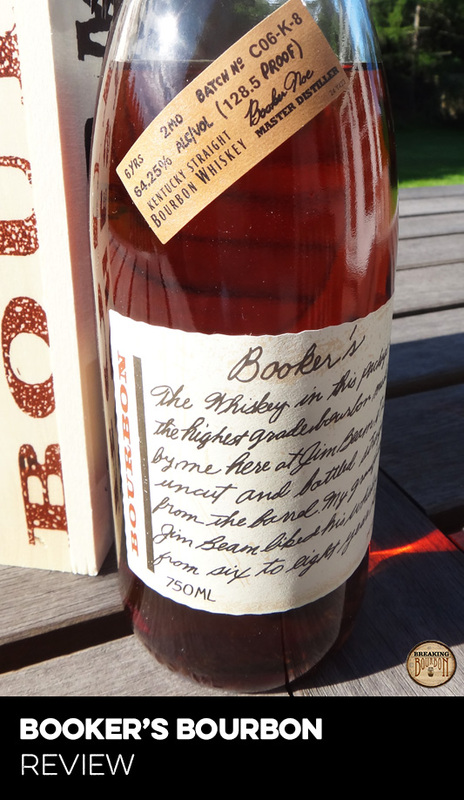 Booker’s Bourbon has been the long held flag bearer of the subgenre coming in for a long time at $55 then then increasing to $60-$70. 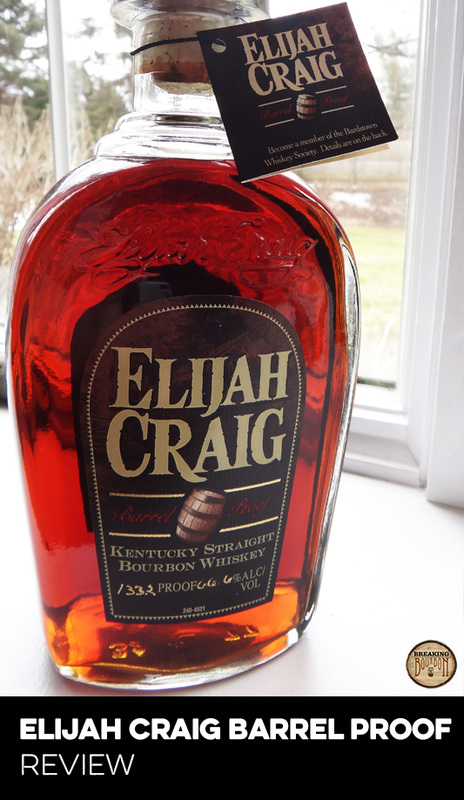 Other popular brands like Stagg Jr. and Elijah Craig Barrel Proof have also staked a claim in the $60 range. Since then more and more limited releases, often barrel proof, have easily topped $100. Now, the only benchmark being barrel proof means you can expect to pay a premium (unless you’re Knob Creek Single Barrel or 1792 Full Proof, then all bets are off). If Woodford packaged up a barrel proof version of their bourbon a few years ago and priced it at $60 it would have easily been accepted. If they did a one-time Master’s Collection release of it for $100, some people might have barked, but many would have come to terms with it. Instead, Woodford is asking for us to accept a $130 price tag for a barrel proof bourbon that they plan to release annually in unspecified batch sizes. It’s also a 33% increase over the typical Master’s Collection price of $100. It’s a hard pill to swallow as it comes off as arrogant because they don’t make a strong enough case for it. They say it’s being “drawn from a select batch of barrels in a more raw, uncut form,” but is that enough? Wouldn’t it have been nice if they claimed if it was being drawn from the best of the best barrels? If they went more out on a limb and declared it Woodford’s best release yet? Sure that could open them up to bourbon hit squads, but at least it would be something. As is, the bourbon speaks for itself, and while this a fine bourbon, $130 for this particular release is simply asking too much. A respectable first attempt at a high proof Woodford Reserve bourbon, but it struggles to justify its high asking price. In the end, the price will be the main thing holding back this release. 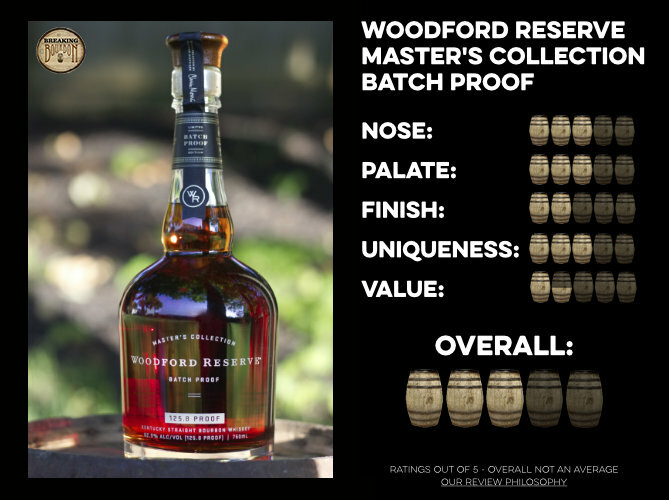 If this was released a few years ago before pretty much every major distillery released their own barrel proof or high proof bourbon, Woodford could have come out and staked its claim at a premium price point. Instead, it now competes with a number of excellent barrel proof bourbons many of which cost half as much as it does. In fact, it even has to compete against its parent company’s excellent Old Forester Whiskey Row series that continues to get higher in proof and better in quality with each release. Simply, Woodford isn’t in a good place with this release. But It’s hard to dismiss how fantastic it is to finally taste Woodford Reserve in its barrel proof form. As one of the last major high proof holdouts, it doesn’t completely disappoint, but it isn’t a complete winner either. It packs a nice rich nutty and oaky flavor, that is somewhat undone by lack of sweet notes and a disappointing finish. It’s hard to recommend this wholeheartedly because of its price. Woodford has said they plan to do more batches, and like barrel proofers Elijah Craig, Stagg Jr., and E.H. Taylor have shown, some batches can certainly outshine others. I for one can’t wait till an excellent batch comes along that truly justify its price.